Precious metals ended lower on Wednesday as oil prices fell and the U.S. dollar climbed. Gold futures marked a third straight day of declines and settled at an almost two-week low. Gold for February delivery lost $8.20, or 0.8%, to end at $1,059.80 an ounce on the Comex division of the New York Mercantile Exchange. The settlement price was the lowest since Dec. 17. "What you’re seeing in ETFs continuing to grind lower is a reflection of how much gold is falling out of favor," Frank McGhee, the head dealer at Alliance Financial LLC in Chicago, said in a telephone interview according to Bloomberg News. "Low inflation, slow growth, moderately increasing interest rates. Where’s the fear in the market? There is none, so gold will continue to grind lower." 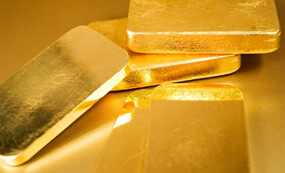 Gold prices traded from a low of $1,058.50 to a high of $1,071.50. They slipped 30 cents on Tuesday and declined $7.60, or 0.7%, on Monday. Silver for March delivery shed 8.6 cents, or 0.6%, to settle at $13.842 an ounce. Silver prices ranged from $13.75 to $13.99. They edged up 0.3% in the previous session and tumbled 3.4% on Monday. April platinum lost $19.60, or 2.2%, to $872.60 an ounce, trading between $853.40 and $895.90. Palladium for March delivery fell $7.40, or 1.3%, to $548.95 an ounce, ranging from $547.65 to $562.95. Gold fell $10.10, or 0.9%, to $1,060 an ounce. Silver fell 11 cents, or 0.8%, to $13.82 an ounce. United States Mint bullion sales were unchanged as of 3:05 PM ET. Below is a sales breakdown of U.S. Mint bullion products with columns listing the number of bullion coins sold last week, last month, in December and the year to date. Products with an asterisk (*) have sold out.